Not sure what gift to get that special someone? You’re in luck – Religion and Canadian Party Politics by Rayside, Sabin, and Thomas is now available for pre-order from University of British Columbia Press! 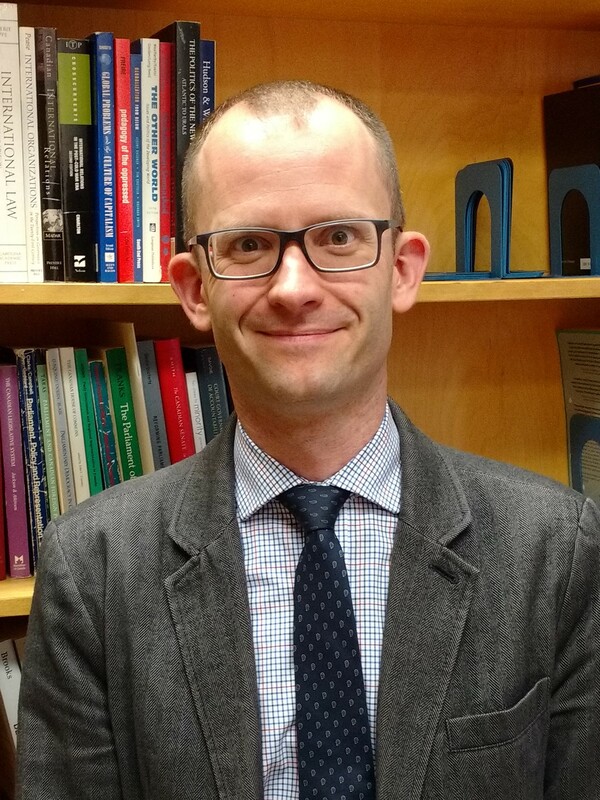 Based on years of research and dozens of interviews, the book provides the first comprehensive analysis of the impact of religion on party politics at both the federal and provincial levels. While some argue that religion no longer has much influence on political life, we demonstrate that it continues to shape party policies and campaign strategies across the country. In today’s Ottawa Citizen, my colleague Michael Morden and I argue that Canada needs a new officer of Parliament – what we call a Commissioner for Indigenous Relations – with a mandate to investigate and report on the government’s performance on indigenous affairs. We fully understand that creating a new officer risks duplicating existing scrutiny by the Auditor General and adding still more reports when what is desperately needed is action. However, we believe that such a position would ensure that all government departments, and not just Indigenous and Northern Affairs, are examined for their engagement with indigenous peoples. Moreover, having a dedicated Commissioner tracking the government’s performance on a regular basis would help to maintain political pressure on indigenous issues and provide reliable data with which to evaluate the government’s actions. Do Canada’s provincial legislatures all have the capacity they need to represent citizens, review legislation, and scrutinize government actions? These are the questions that Graham White and I tackle in our chapter in the 3rd edition of Provinces, edited by Chris Dunn. The provincial assemblies all have the same basic institutional structure, the same constitutional powers, and pass roughly the same number of government bills each year (around 50). However, each legislature also operates differently from the others, with drastic variations existing in terms of the hours spent in session, the size of the executive, the resources available to members, the use of standing committees, and legislative procedures. 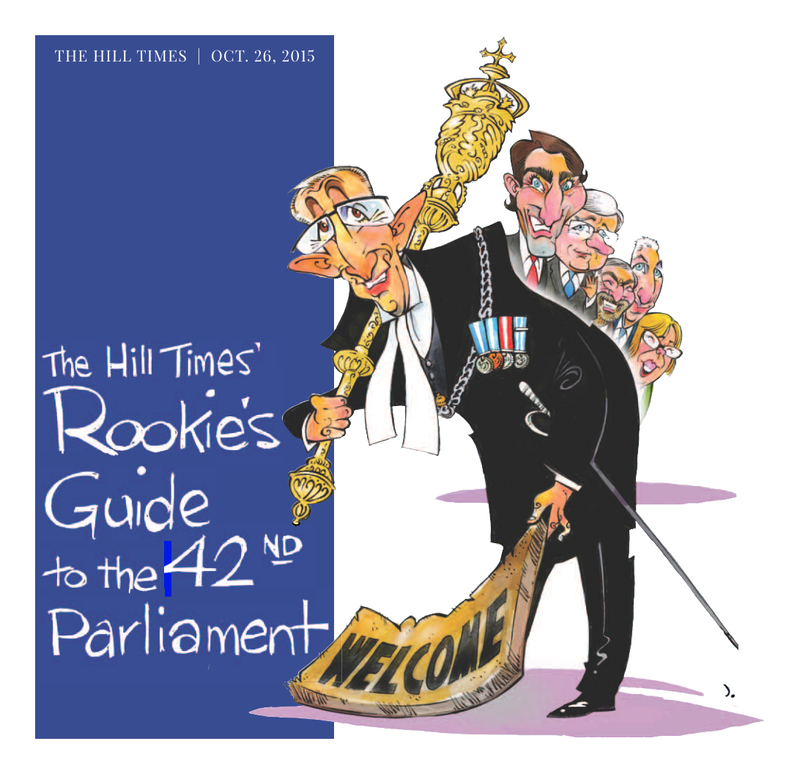 Canada’s Senate: on the cusp of change? 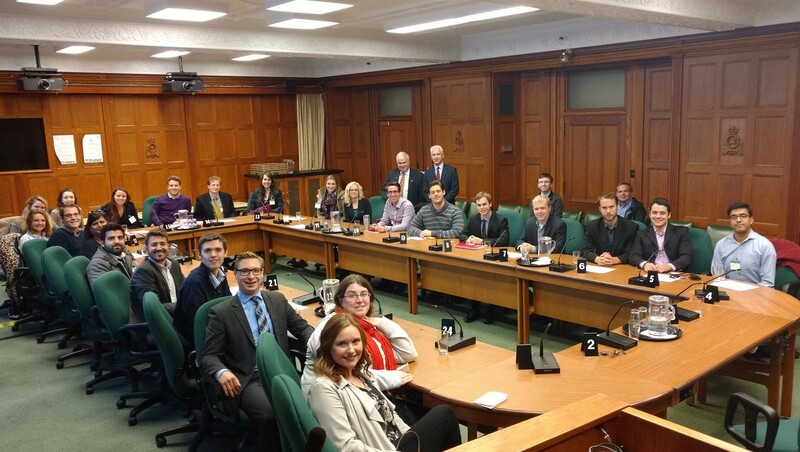 Today my POLM5001 class from the Riddell Program in Political Management headed back to Parliament Hill for a series of meetings regarding the Senate. It was a fascinating time to visit the red chamber, as the next few weeks could see a drastic change in how it operates. Charles Robert, the Clerk of the Senate, began the visit with an overview of the institution’s function in Canada’s system of government and its evolution over time. Céline Ethier and Nataltie Fletcher, respectively from the offices of Senators Fraser and Carignan, then gave an overview of the current political positions in the Chamber (Speaker, Leader of the Opposition, etc.) and the careers available to staff. Finally, Senator Jim Munson shared his experiences representing Ontario and championing the cause of children with disabilities. I’m grateful to all of the speakers for making the time to meet with the students, and for helping us to work through how the Senate may change if the Trudeau government chooses not to appoint a Leader of the Government in the Senate. The reforms, especially those to Commons committees and the Senate, could substantially increase the autonomy of Parliament. Implementing the changes will be very hard since the Liberals have a large legislative agenda, and their proposed reforms would slow their ability to quickly push that agenda through Parliament. The reforms could go much further. These suggestions are based on the research that we conducted into the influence of backbench MPs using Samara’s exit interviews with former MPs. For more, check out the Rookie’s Guide, or see our paper from the Canadian Political Science Association’s Annual Conference in 2013. 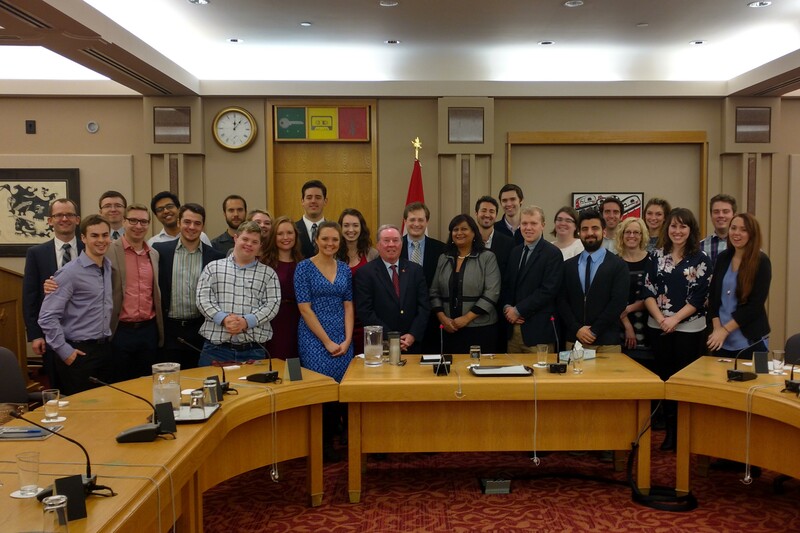 Today I took my POLM5001 class on a field trip to Parliament to meet with Marc Bosc, the Acting Clerk of the House of Commons, and Peter Milliken, the former Speaker of the Commons. The students received tremendous insights on House operations, parliamentary procedure, and the role of the Speaker. I’m very grateful to both Mr. Bosc and Mr. Milliken for meeting with the Masters of Political Management students for a second year.